The most spaced-out hippie stuff you can encounter. In many ways, this record is astonishing. Down to the bone, it's some sort of a radio-drama (spoken words) with layers of synth-generated sound effects and melodies, with a few musical numbers. But it would be injustice to dismiss it easily, since it's groundbreaking in many ways. First of all, the story itself is a skewed version of ''The Wizard Of Oz'', overloaded with hippie angst, political recourse, drug allegories and humour. Several people participated in the roles, the narrator being Jacques Wilson, the author of the whole concept (Garson did the music, but not the actual plot). Musically, there's a plethora of noodlings, bleeps and burps to back up the narration. All sounds are exclusively produced with a synthesizer, if there are any traces of other instruments, I was not able to trace them. Perhaps the most intriguing part of the record (apart from being ahead its time) is its musicality. Those sound effects are not thrown in randomly as unsubstantial piles of various tones and noises. Yes, there are moments that can be compared to academic avant-garde musicians of the century - such is Stockhausen - but I'm wondering from which of those old maestri Garson picked influence, if at all. This is rooted in rock and marked with a lysergic mark all over the place. There are melodies - moreover - some incredible hooks, and a couple of tunes in a strict sense. There are bits that remind me of THE RESIDENTS and their works few years later; there's 'Never Follow The Yellow Green Road', which fuses funky electronic bass hook with a choir of female vocals in 60's soul style -- transfer this one into the early 2000's and you got an instant four-to-the-floor electronic dance hit!!! There are also beautiful (if a bit underdeveloped) 'I've Been Over the Rainbow' and 'Big Sur'; lovely songs with synth arpeggio emulating bassoons and electric organ and female vocal that came straight from the mellowest, dreamiest depths of West Coast, dream pop and psychedelia!! I must point out Garson's skill great skill in producing the sound out of the synth: those big old bulky Moog Modular systems were beautiful and versatile machines, but unstable: it was a hell to keep them in tune. Garson is brilliantly avoiding such problems applying all sorts of bendings and resonances, glissandi, running sequences with smooth pitch shifts, and clever application of noise bursts (hiss) on sequencer to produce rhythmical patterns. Such an approach won't became old-fashioned until the dawn of useful drum-machines in late 70's/early 80's. He's also avoiding the monophonic properties of his machines by stacking oscillators on various frequencies, producing a one-key chord (a thing often used by Emerson, Wakeman and others), but he is never overdoing it. As for the more MUSICAL moments of the record...it's bordering on unbelievable. This record struck me deeply - remember it was done in 1968 - the electronic pioneers in Europe won't reach a degree of coherency for a couple of years more. Now I'm deeply interested to further check pioneers of electronic music from the New World - the place where the very concept of the synthesizer (as we know it today) was born. Well-deserved four stars. Highly recommended. Far out, man. Looks like Mort Garson was really on a roll at the end of the '60s. You got The Wozard of Iz, then Electronic Hair Pieces, and apparently the exact same time, the 12-LP series Signs of the Zodiac (each LP on a different sign, sold separately). 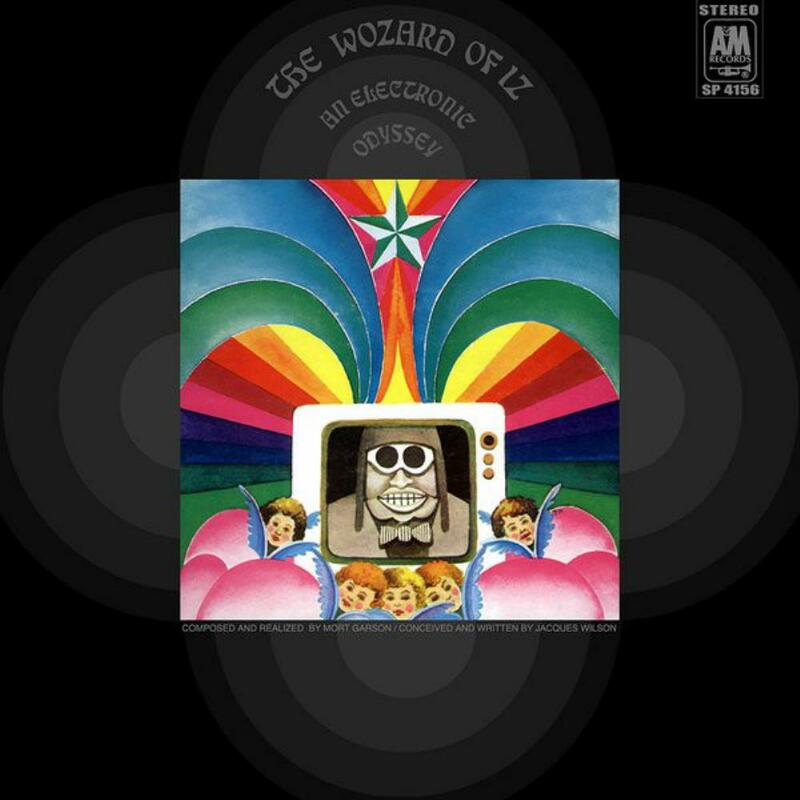 The Wozard of Iz is very much a product of the late '60s and the hippie movement, done by an already middle-aged guy, Canadian expat (residing in the States) Mort Garson, a guy old enough to be the "establishment" that the hippies and counterculture wanted nothing to do with (the rather naive "don't trust anyone over 30", when a few of their icons were over 30, like Abbie Hoffman, and Timothy Leary was quite a bit older than Hoffman, old enough to be the father of the hippies - ironically I could see that "don't trust anyone over 30" crowd circa 1978 when they turned 30 and how they reacted! I could also go on that Spencer Dryden of Jefferson Airplane turned 30 in 1968, Grace Slick turned 30 the next year in 1969, Ray Manzarek of the Doors turned 30 in 1969, showing examples how some of their icons turned 30 before the '60s ended. And one last thing, Spirit drummer Ed Cassidy was almost as old as Timothy Leary!). One thing that needed to get cleared. For years it's been rumored that Suzy Jane Hokum (who did some of the narration on this album) was Nancy Sinatra. No, she was a separate person. The reason for the confusion was Suzy Jane Hokum (actually Suzi Jane Hokom) too had recorded with Lee Hazelwood, she too did a version of "Summer Wine" with him, but it was the version with Nancy Sinatra that became the hit and people are more familiar with. Hokom was a staffer at LHI Production, an enterprise ran by Hazelwood. 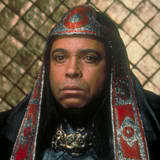 The Wozard of Iz was very much a product of its time. The Moog was a brand new invention, so I'm certain Mort Garson was learning as he was going on programming and playing the synth, learning its quirks and limitations (polyphonic synths wouldn't be for another few years, so this required lots of overdubbing, as well as manipulation of the multiple oscillators that it featured). Here he takes the Wizard of Oz, gives it a totally psychedelic synth make over, and gives it a counterculture theme, which is hardly subtle, and the veiled references to real life places and people weren't really all that veiled, it was so obvious to anyone who knew about the 1960s. Canvas City was Kansas City (thought of as a generic Midwestern city), Lemon County was Orange County, California (a conservative bastion that the counterculture avoided, it's largely suburban), Robert Squelch (Robert Welch, the founder of the John Birch Society), the Upset Strip (the Sunset Strip, which was famous for a youth riot in 1966 that inspired Stephen Stills to write "For What It's Worth" for Buffalo Springfield), the only place not veiled was Big Sur. So you get Dorothy, and several characters that are conformist, unable to think for themselves, materialistic, and status quo-obsessed with The In-Man, the Lyin' Coward, and the Scared-Crow. "Leave the Driving to Us" features probably the earliest use of sequencers that I know of (a sequencer was built into the modular Moog), it almost reminds me of a slowed-down version of Pink Floyd's "On the Run" (which too used a sequencer, but that sequencer was an EMS AKS, basically a Synthi A with a membrane sequencer keyboard). "Upset Strip" really features some nice melodies, Dorothy being warned to avoid the Upset Strip (because of riots, just like the real life Sunset Strip in 1966). "Never Follow the Yellow Green Road" might not be to everyone's liking. It has a very much Broadway musical feel to it, the big differences are being the Moog synthesizer is the only instrument used, and the lyrics having anti-establishment themes. They warn Dorothy not to follow this Yellow Green Road (as it's the middle of the road, representing conformity, and the narrator tells you Ferlenghetti books aren't read there, nor Warhol films played there, guaranteeing your mind won't be blown). "The Scared Crow" is a materialistic character obsessed with status, "The In-Man" is obsessed with charts and statics, while "The Lyin' Coward" is incapable of telling the truth (which was obviously a potshot at politicians). "They're Off the Find the Wozard" and the mellow "Big Sur" sounds like an electronic version of the Association (that vocal style that seems so common with L.A. bands of the time associated with "sunshine pop"). "I've Have Been Over the Rainbow" sounds amazingly like The United States of America (as in Joe Byrd and Dorothy Moskowitz), but using a Moog rather than some home made prototype electronic device. Even Suzy Jane Hokum sounds like Dorothy Moskowitz. This album really is all over the place, from highly experimental electronic sounds effects that sounds like something Nik Raicevic would do to electronic Broadway musical to Association-type sunshine pop with Moog instead of pop/rock instruments. Some of it's cheesy, some of it's great, but that's what you get when you listen to a Mort Garson Moog album. I love this album, but the Klaus Schulze, Jean Michel Jarre and Tangerine Dream crowd (or should I say, those preferring electronic music in that 1970s serious manner) might stay away, but those who want to hear an early Moog album that's not renditions of classical favorites (a la Switched-On Bach) or pop hits of the day would want this. Post a review of MORT GARSON "The Wozard Of Iz - An Electronic Odyssey"